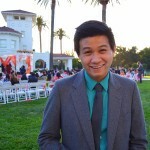 Jason Pham is a Northern California-based entertainment reporter. His most recent work can be seen in The Hollywood Reporter and HOLLYWIRE. Prior to that, Jason had covered the Sacramento food scene for Sactown Magazine and Sacramento Press. When he’s not ogling at Priyanka Chopra’s hair or brainstorming who the killer is on "Scream Queens," Jason spends most of his time scrolling through pictures of food on Yelp or creating GIFs of late-night talk shows for his Tumblr.